need a little extra something. Something to break up the intensity you know? over the stones to keep them in place. is enough on its own, or do you think it needs a little something extra? 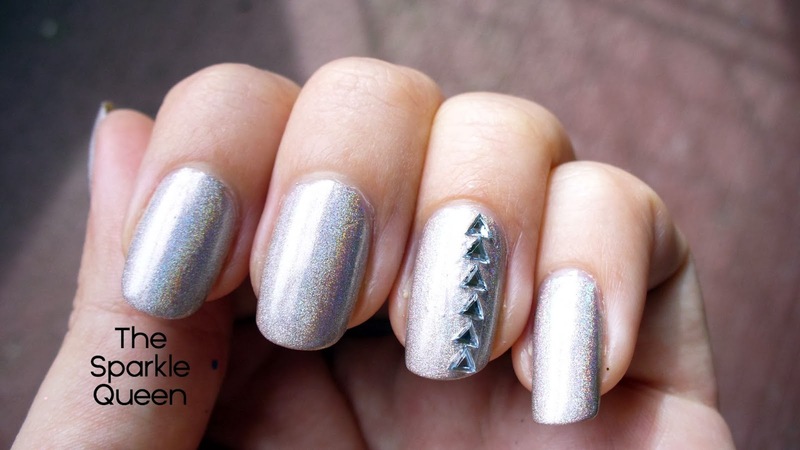 Anything using holo polish is awesome in my books. 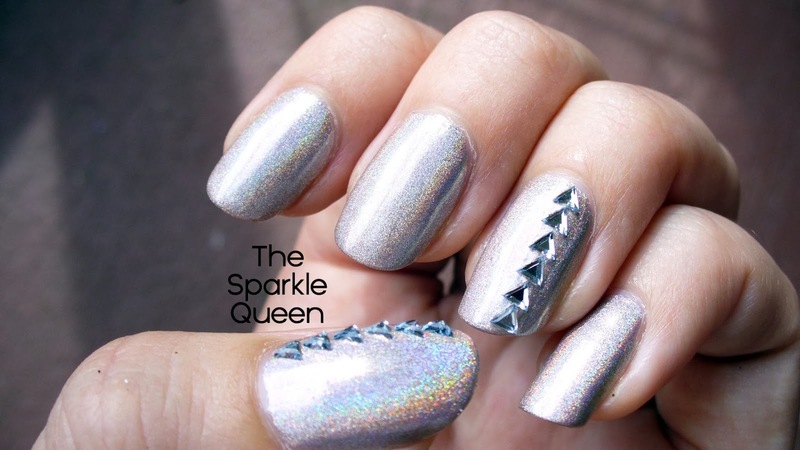 This is pretty especially with the studs going down the sides of the nail. Thanks Emily! I was a little hesitant about the stones at first, but I'm so glad I used them! You managed both simple and dazzling in the same manicure! Gorgeous!